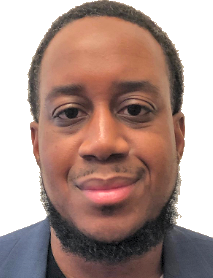 Sun Broadcast Group (SBG) taps Erick Vilson as National Account Manager. He joins SBG after three years as Integrated Ad Sales Coordinator with Reach Media and Radio One. Vilson has also worked on the sales and operations side of companies like iHeartMedia, Emmis Communications and Grit New York. He'll be based out of SBG's New York City headquarters and is the latest addition to the company whose lineup includes Michael Baisden, Jim Brickman, Alfonso Ribeiro, Jorge Bernal and more. SBG Chief Operating Officer Julio Aponte, Jr. commented, "Jay Bailey and I were very impressed with Erick's background, reputation and his dedication to excellence. Bringing someone with his digital and event experience on board will allow our team to offer greater business opportunities for our agencies and a deeper connection with our national audience for our advertisers." "Becoming part of the Sun Broadcast Group family is a fantastic opportunity for me," added Vilson. "Their reputation in the industry, new approach to business and clever ways to market their offerings was very attractive to me. I am very excited to bring my experience to the sales team."